Once known as an "angry comic," Marc Maron has a lot to be happy about these days. 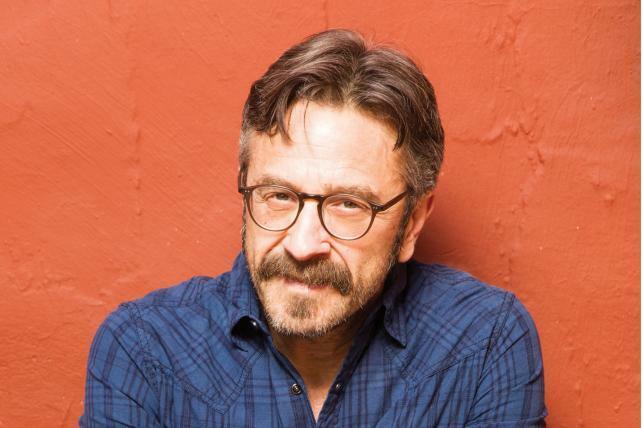 His podcast, "WTF With Marc Maron" (which he hosts in his garage and which nets 3 million downloads a month), celebrated its sixth and best year yet. 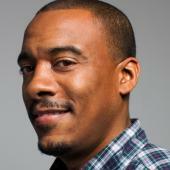 The funnyman saw his star rise this summer when he landed President Barack Obama as a guest on "WTF." The appearance -- the first podcast interview for a U.S. president -- garnered headlines for Mr. Obama's frank remarks on race. It also bolstered the popularity of the show and solidified Mr. Maron's role as a podcasting pioneer. Guests following Mr. Obama included James Taylor, Gloria Steinem, Elvis Costello and another coup, Lorne Michaels, leading The Washington Post to dub Mr. Maron "the Barbara Walters of podcasts." The veteran comedian's newfound success has also led to a sitcom on IFC, "Maron," which was just renewed for a fourth season and stars the acerbic podcaster as a fictional version of himself. Mr. Maron capped the year with "More Later," a fittingly titled stand-up special -- his first in 20 years -- airing this month on Epix.